Pool is a challenging game that can be enjoyed by people of all ages. Some people buy pool tables but find that they do not have as much time to invest in the game as they thought they would. Maybe you got one for your children but they lost interest. If you are selling a used pool table, be aware that there will be interested buyers looking for a bargain. If you know the basics of pricing your pool table, it should not be difficult to sell it quickly. Evaluate the current condition of your pool table. Clean it up and make sure you have all the pieces. Polish any scratches in the wood. Do not undersell. Used pool tables in good condition retain their value, according to the Used Pool Tables website. On the other hand, do not expect to get even close to what you paid for the table when it was new, particularly if you bought an expensive table. Used tables typically sell for less than half of new ones. Consider the market. In 2009 the average used pool table buyer expected to spend between $500 and $1,000, according to the website of the Family Recreation Centre in St. Catharines, Ontario. Keep this in mind when pricing your table. Look on Craigslist or ebay to see prices in your area for used pool tables. Compare the prices. Keep in mind that yours may be a higher- or lower-end model than those currently advertised. Price and advertise your pool table, but consider that you may need to accept a lower offer. In other words, if you need to get $500 for your pool table, keep the asking price at $600. 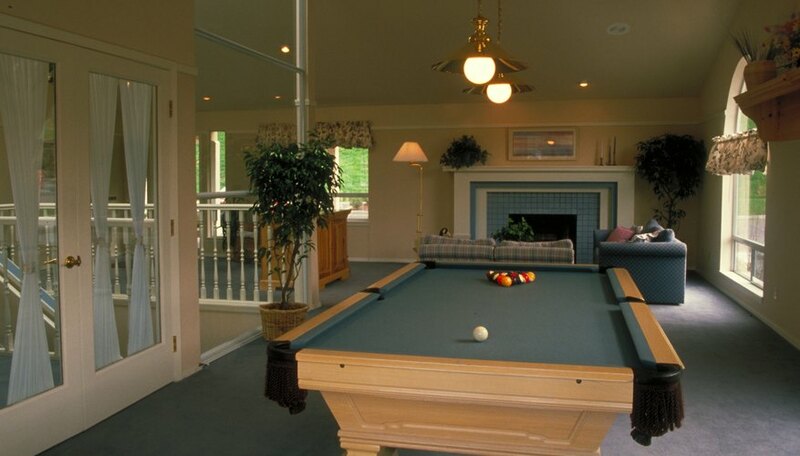 Most people search online for used pool tables, according to the Used Pool Tables website.